This baby kale salad features a chipotle garlic vinaigrette and easy homemade tortilla strips (baked not fried!) for a healthy side that complements any entree. 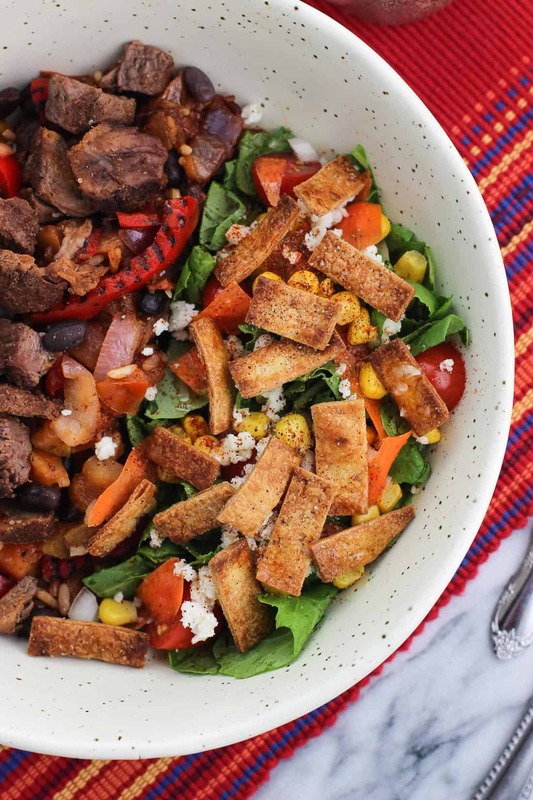 Enjoy this side salad alongside the bold flavors of Frontera® frozen meals for a filling and quick main dish option! It’s no secret that I enjoy cooking. I spend a lot of time talking about food online, after all. 🙂 But despite my best intentions I’m not the meal prepping superstar I aspire to be. 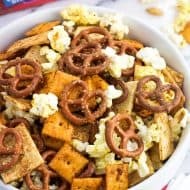 I dabble here and there and save ideas I want to try on my meal prep board, but inevitably there are a few times during the week when errands run long, thawing something from the freezer slipped my mind, I’m out of ideas, etc. and I find myself quickly on my way to becoming hangry. Not a pretty place to be! 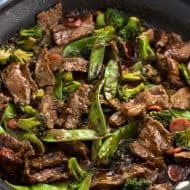 It’s so easy in those moments to reach for a take-out menu, especially when you have just about one of everything within a five minute drive. SO easy. But that’s certainly not the healthiest habit to get into, and the times in which I do indulge I’m usually left feeling blah afterwards. Recently though I’ve found a saving grace in Frontera® frozen meals. Established in 1996, Frontera offers frozen meal solutions that are brimming with premium Mexican flavors. 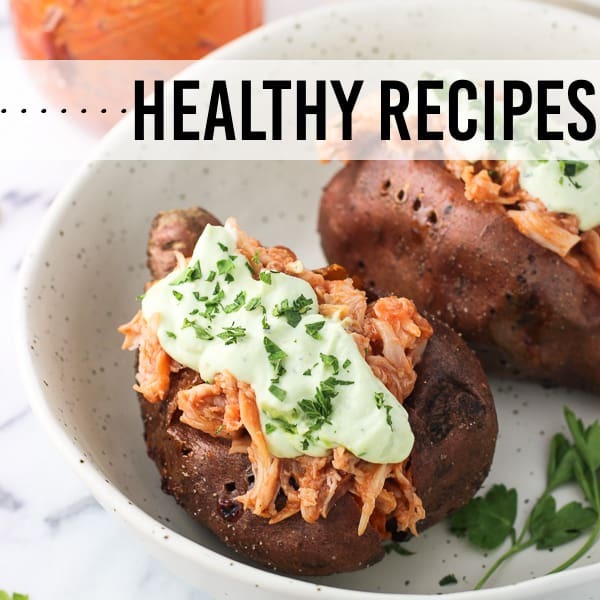 I love that they’re created with expertise and passion by an award-winning Chef using time-honored cooking methods (such as fire roasting) for authentic Mexican cuisine that takes the taste over the top. They’re inspired by Mexico, but easily made by you. 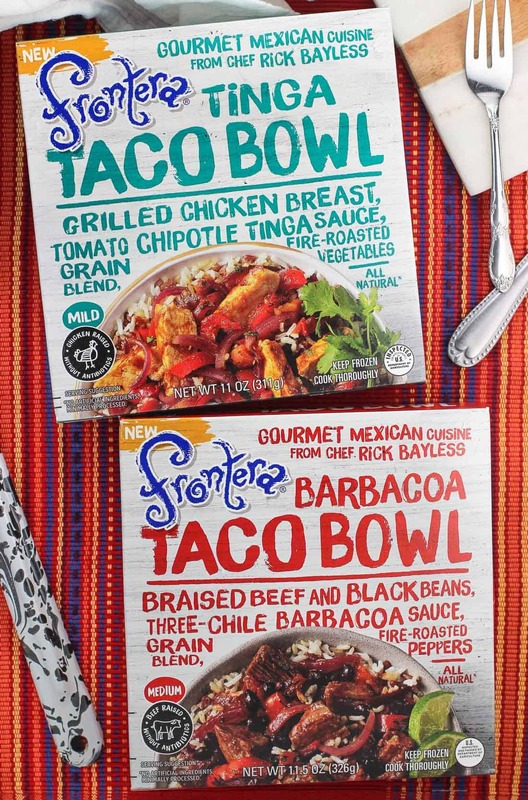 I bought both the Frontera® Barbacoa Taco Bowl and the Frontera® Tinga Taco Bowl at Kroger, and nestled them in next to all the meat I forget to thaw in the freezer.  I tried the Barbacoa Taco Bowl first, which is a signature central Mexican dish. 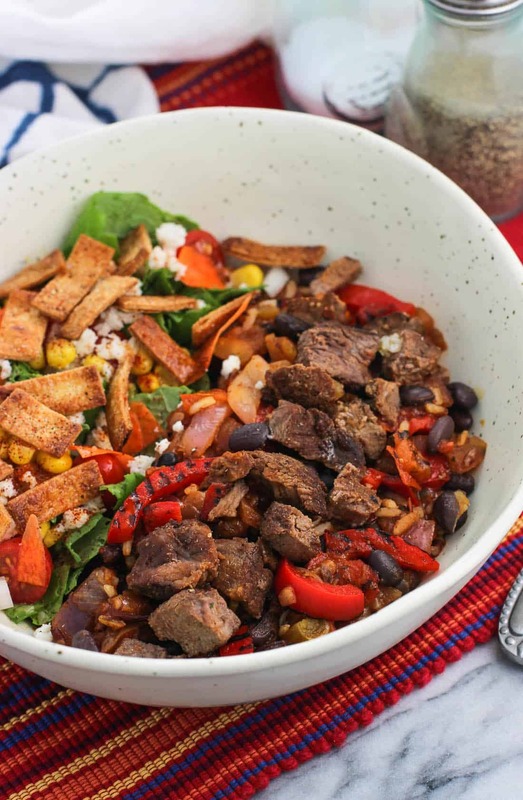 For starters the flavors are bold, as the beef is roasted and then slow cooked with ancho, guajillo, and chipotle chiles, all served over a grain blend. 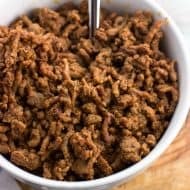 Beef barbacoa prepared from scratch typically takes a long time to cook, so having a delicious and filling option ready in minutes is the ultimate in convenience. It wasn’t long before I got curious about the Tinga Taco Bowl and ‘forgot’ to prep lunch. 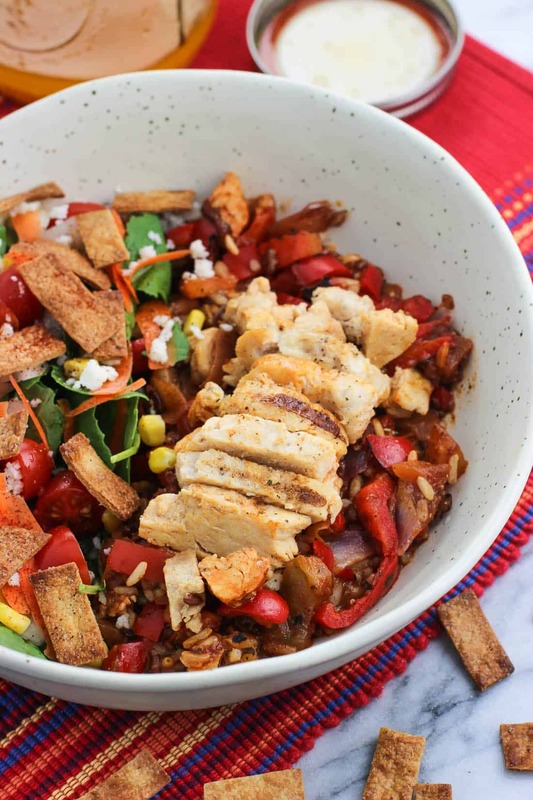 😉 This authentic recipe hails from the highlands around Mexico City and features slow-simmered chicken along with seasoned, roasted tomatoes and chipotle chile. Like the Barbacoa Taco Bowl, this variety is also served over a grain blend and is seriously SO good. 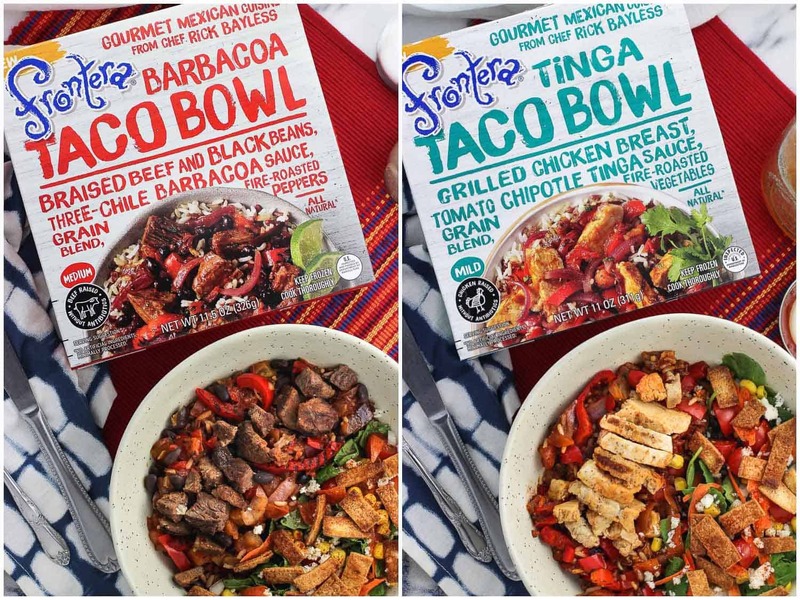 The Tinga Taco Bowl is milder in spice level than the Barbacoa Taco Bowl (which is medium), but both feature robust flavors and are made using high-quality ingredients. I will definitely be buying these again for those days when I’m pressed for time but still want to enjoy something flavorful and satisfying. And be sure to click here to save $1.00 on any ONE (1) Frontera meal. 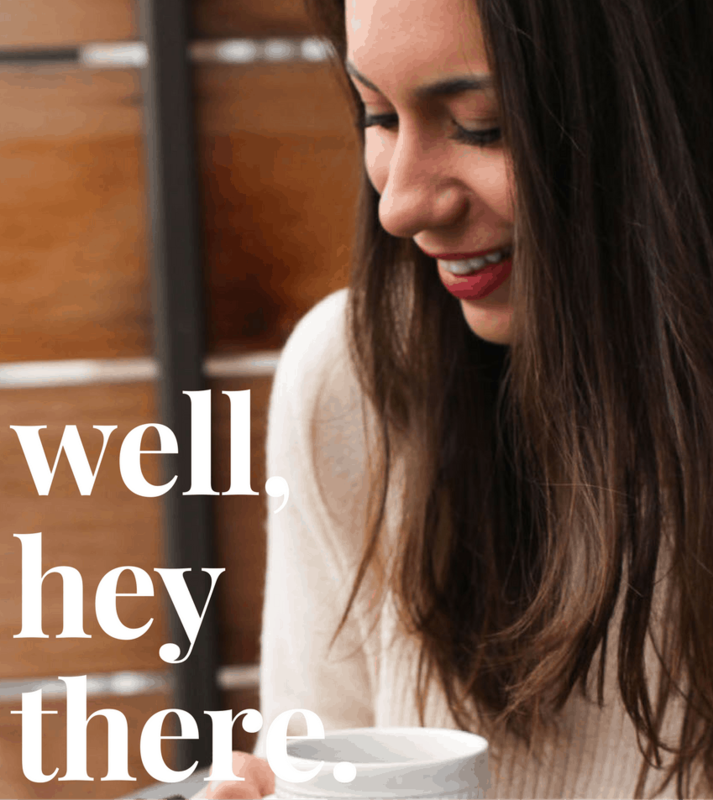 You’ll want to download this deal before it’s gone! What I like to do with frozen meals is to boost the nutrition by eating a salad on the side. 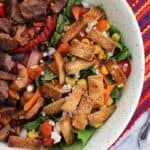 Since the flavors of these Frontera meals are bold and both feature chipotle chiles, I made a baby kale salad with chipotle garlic vinaigrette and tortilla strips to go alongside them. The flavors of the salad complement the frozen meals beautifully, and it’s a great way to use up leftover produce odds and ends. Plus does anyone ever need an excuse to enjoy crumbled queso fresco? I didn’t think so. 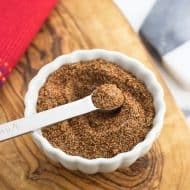 Both the chipotle garlic vinaigrette and the tortilla strips can be made ahead of time and stored for several days to keep you on schedule when it’s meal time, but they’re both relatively quick and easy to prepare right then, too. The vinaigrette is simple – just add all ingredients to a jar or salad dressing shaker and shake it up until emulsified. Any excess dressing can be stored in the fridge and then shaken before dressing a future salad. I used regular 8″ flour tortillas for the tortilla strips in these pictures, but I’ve also used whole-wheat flour tortillas in the past and they work great, too. 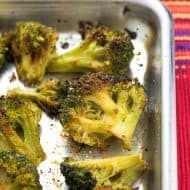 They get super crisp in the oven (without frying!) and can stay for several days in an air-tight container or plastic bag. 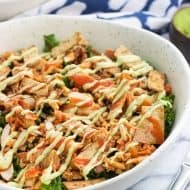 They add a delicious crunch to this baby kale salad! 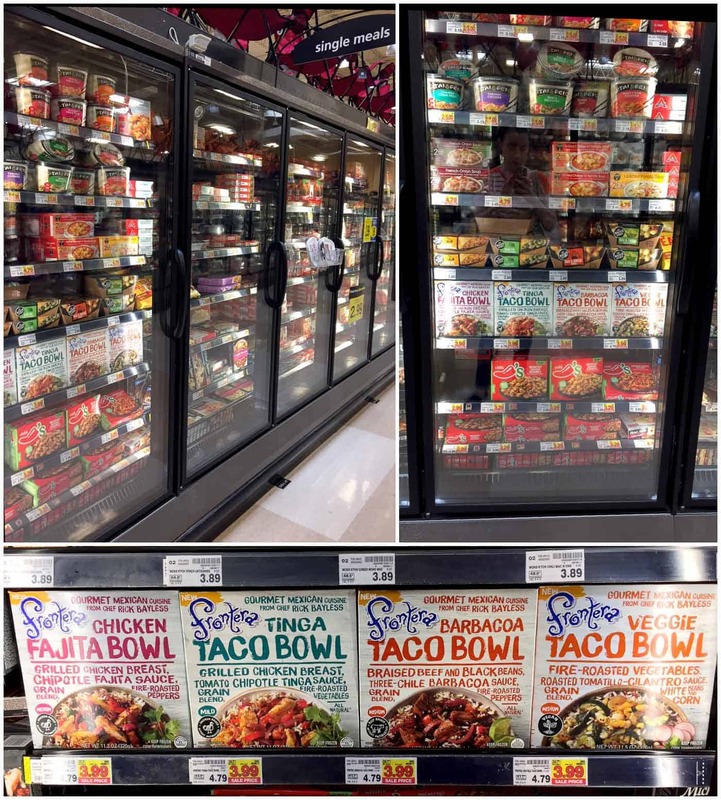 You can find all four varieties of Frontera frozen meals in the single meals freezer aisle of Kroger. And click the banner below for a Kroger coupon for $1.00 off ONE (1) Frontera meal. 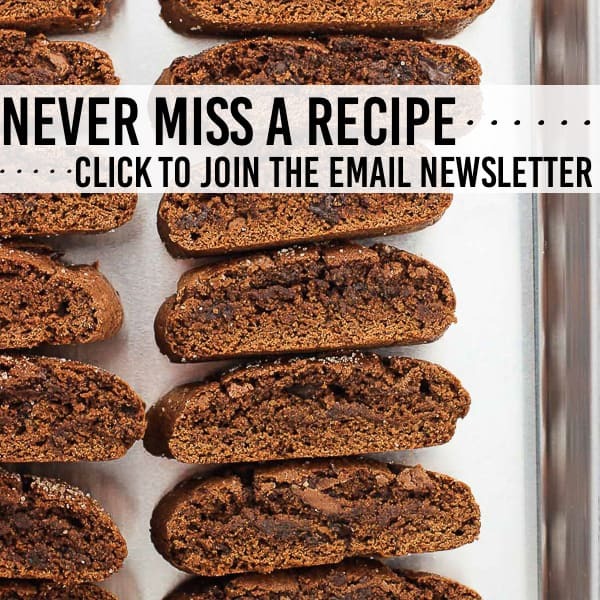 You’ll want to grab it before it expires! This baby kale salad features a chipotle garlic vinaigrette and easy homemade tortilla strips (baked not fried!) for a healthy side that complements any entree. Preheat oven to 425°F. Spray a large baking sheet with cooking spray. 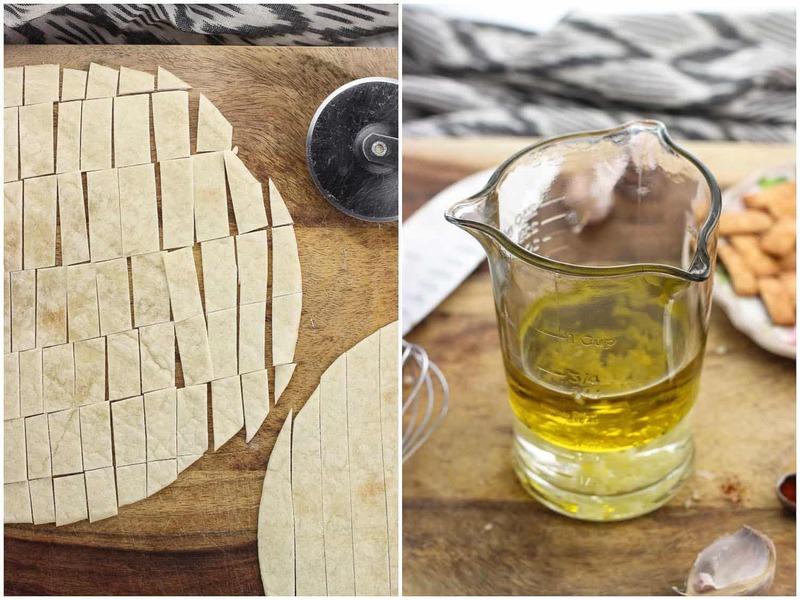 Using a pizza or pastry wheel, slice tortillas into short strips. Add strips to a bowl and add 1 tbsp olive oil. Season to taste with salt and pepper. Arrange tortilla strips on prepared baking sheet in a single layer. Bake for 4 minutes, and then remove the sheet from the oven and flip them over. Bake for another 2 minutes, or until the tortilla strips have browned and crisp. Remove from the oven and immediately transfer tortilla strips to a plate so they do not continue baking on the hot sheet. Store in an air-tight container or sealable plastic bag until ready to use. Thinly slice garlic cloves and sprinkle a pinch of kosher salt over top. Repeatedly run the side of the knife over the garlic cloves and salt, pressing them against the cutting board until the cloves are mashed. Add mashed garlic to a jar or dressing shaker bottle. 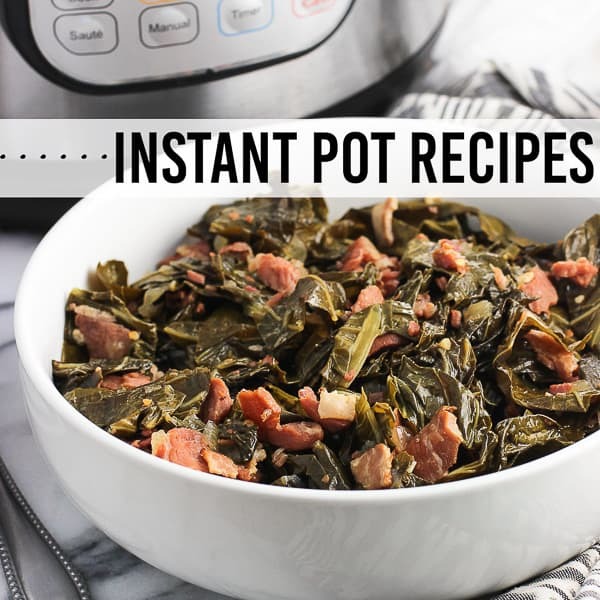 Pour in 1/3 cup olive oil, 1/4 cup white wine vinegar, and ground chipotle chile pepper and shake until creamy and emulsified. Refrigerate, shaking well before each use. Plate out baby kale, tomatoes, corn, onion, carrots, and crumbled queso fresco. 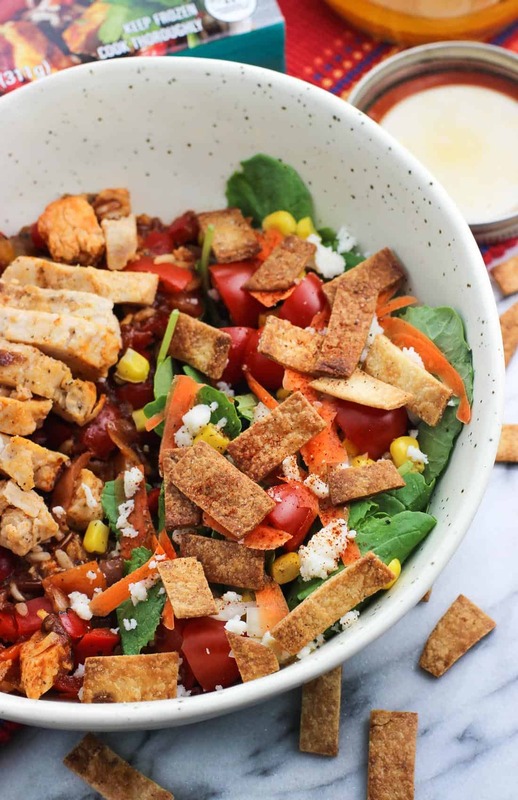 Top with chipotle garlic vinaigrette, tortilla strips, and a shake or two of ground chipotle chile pepper.